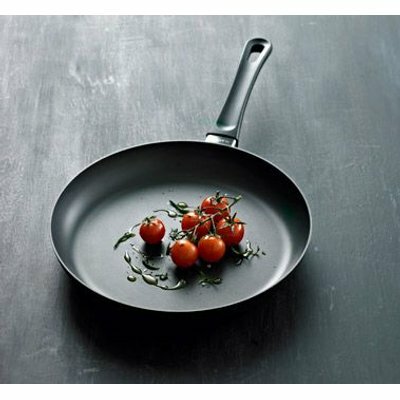 The SCANPAN Classic 26cm Fry Pan has exclusive Ceramic Titanium technology. 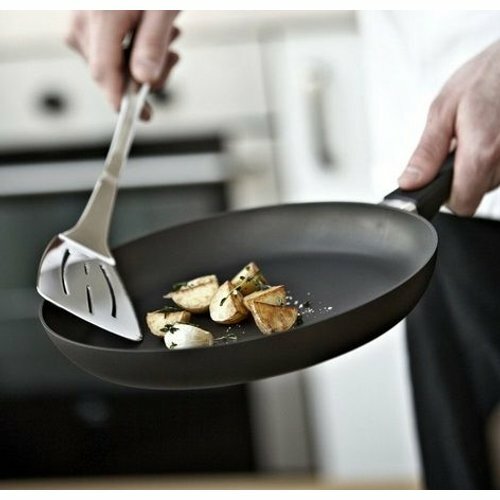 This fry pan is designed and made in Denmark from environmentally friendly, recycled aluminium with a PFOA free non-stick surface. SCANPAN Classic cookware is oven safe to 260°C with even heat distribution and unsurpassed durability. The handle is fixed to the body of the pan using a patented system without rivets, screws or springs. 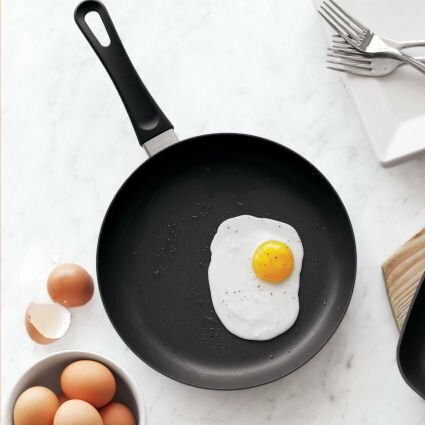 The Classic collection is the biggest and most comprehensive SCANPAN range available in the market today, with more than 50 individual pieces to choose from. There are also a number of accessories available to help enhance your culinary experience with SCANPAN. Warranty: 10 Year Manufacturers Guarantee. • NB! This guarantee does not cover RUST or CHIPPED BLADES. Maintenance and Care: Always clean with detergent;Avoid quick heating and cooling. 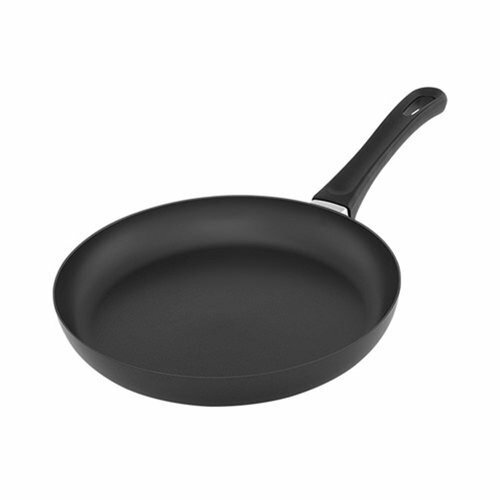 SCANPAN A/S is one of the world?s leading manufacturers of non-stick products and for more than five decades the company has produced Danish kitchenware of the highest quality and durability. With deep roots in traditional craftsmanship, we create functional and timeless tools for modern kitchens, from households to professional kitchens. Our brand is constantly evolving and we can proudly say that we are always at the forefront of innovation and technology. 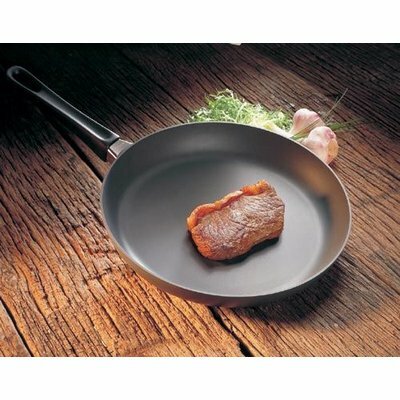 Since SCANPAN?s inception in 1956, our hand cast aluminium products with patented ceramic titanium coating have formed the core of our business. Therefore, we cast all of our non-stick aluminium products at our own factory in Denmark. At SCANPAN we strive to make a difference ? in the kitchen and for the environment. This means that all of our die-cast aluminium products are made from environmentally-friendly aluminium at our own factory in Denmark. Environmentally-friendly liquid aluminium is poured by hand into a mould and die-cast under 250 tonnes of pressure. In the following processes, 30,000-degree-hot titanium is bonded to the compressed aluminium and a non-stick coating is applied and tempered. This unique casting technique ensures the products maximum durability and perfect heat distribution across the entire surface. Quality is controlled in every detail throughout the production process. As part of our ongoing product and technology development, we have also developed Green Tek, a coating that is 100% fre of PFOA and PFOS chemicals. Combined with our patented ceramic titanium technology, Green Tek is one of the market?s most durable non-stick coatings. SCANPAN makes uncompromising kitchenware for modern kitchens. In addition to the popular non-stick products, SCANPAN?s range also includes refined design series and professional series in stainless steel and copper, special products for daily cooking and colourful kitchen knives and accessories. To ensure quality, user-friendliness and aesthetics, we continuously develop our concepts with our partners and professional chefs. SCANPAN A/S exports to 45 countries. The export business is constantly growing and now represents more than 75% of our total turnover. SCANPAN is 100% Danish-owned, with the company?s headquarters and factory located near Aarhus, Denmark. SCANPAN A/S also has offices in Finland and subsidiaries in Norway, Singapore, China and the United States.